↑ "encyclopaedia" (online). Oxford English Dictionary (OED.com), Oxford University Press. अभिगमन तिथि February 18, 2012. ↑ Hartmann, R. R. K.; James, Gregory; James, Gregory (1998). Dictionary of Lexicography. Routledge. पृ॰ 48. आई॰ऍस॰बी॰ऍन॰ 0-415-14143-5. अभिगमन तिथि July 27, 2010. ↑ "Encyclopedia". मूल से August 3, 2007 को पुरालेखित. Glossary of Library Terms. Riverside City College, Digital Library/Learning Resource Center. Retrieved on: November 17, 2007. ↑ Roest, Bert (1997). 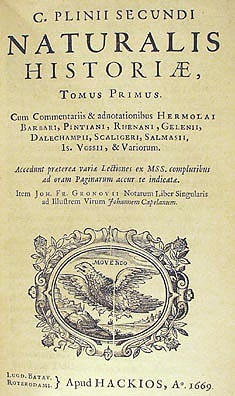 "Compilation as Theme and Praxis in Franciscan Universal Chronicles". In Peter Binkley. Pre-Modern Encyclopaedic Texts: Proceedings of the Second Comers Congress, Groningen, 1 – July 4, 1996. BRILL. pp. 213. आई॰ऍस॰बी॰ऍन॰ 90-04-10830-0. ↑ Carey, Sorcha (2003). "Two Strategies of Encyclopaedism". Pliny's Catalogue of Culture: Art and Empire in the Natural History. Oxford University Press. पृ॰ 17. आई॰ऍस॰बी॰ऍन॰ 0-19-925913-5.